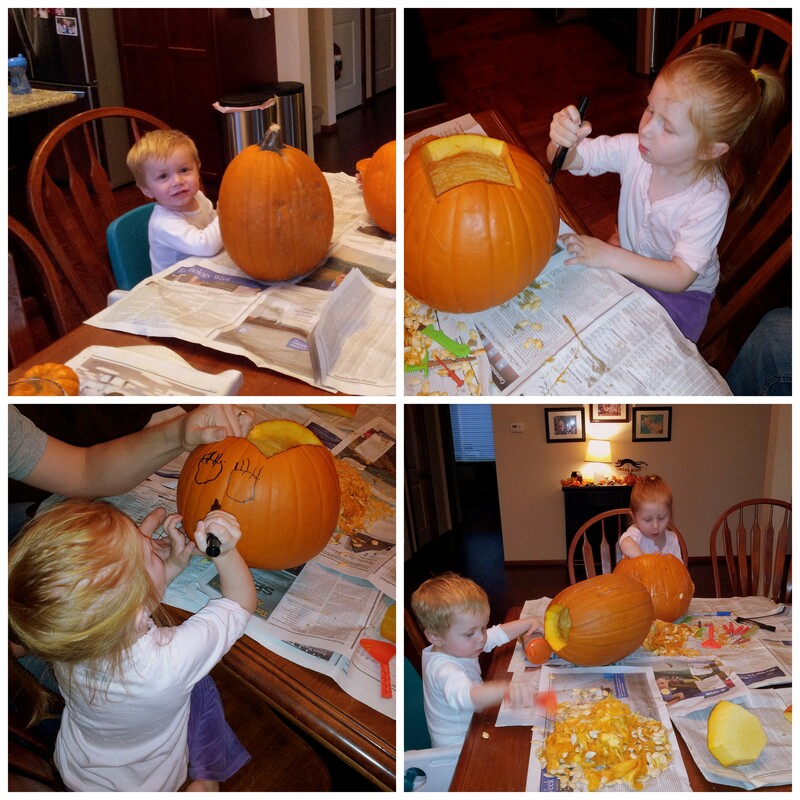 Last night, we carved our pumpkins. Always an adventure with a 3 year old and a 1 year old. 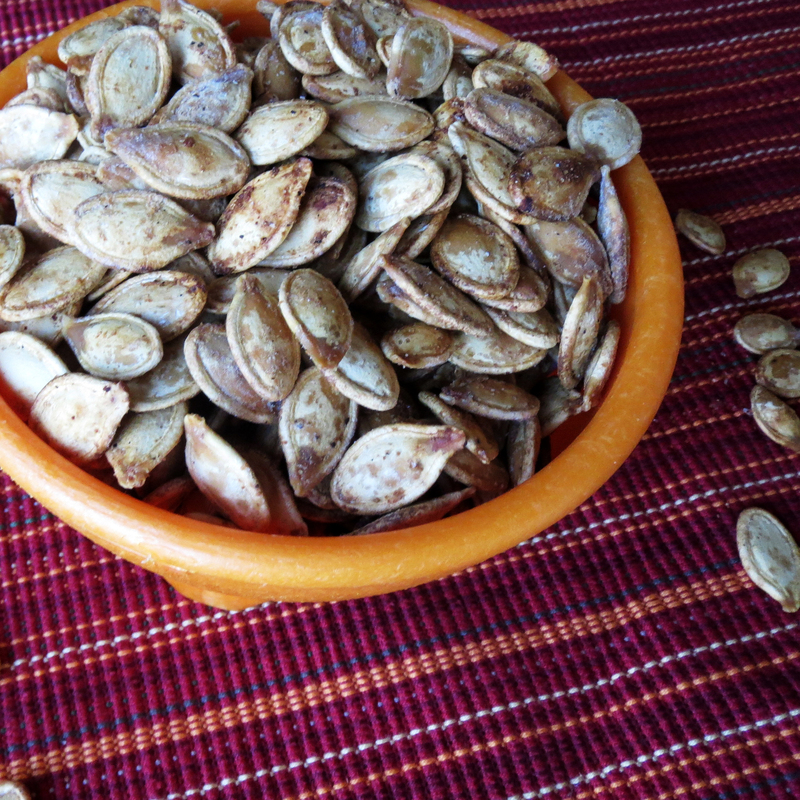 After we had finished, and the pumpkins were all lit up on our porch, my daughter and I set about the icky but necessary task of separating the stringy orange pumpkin guts from the seeds so that we could roast them. 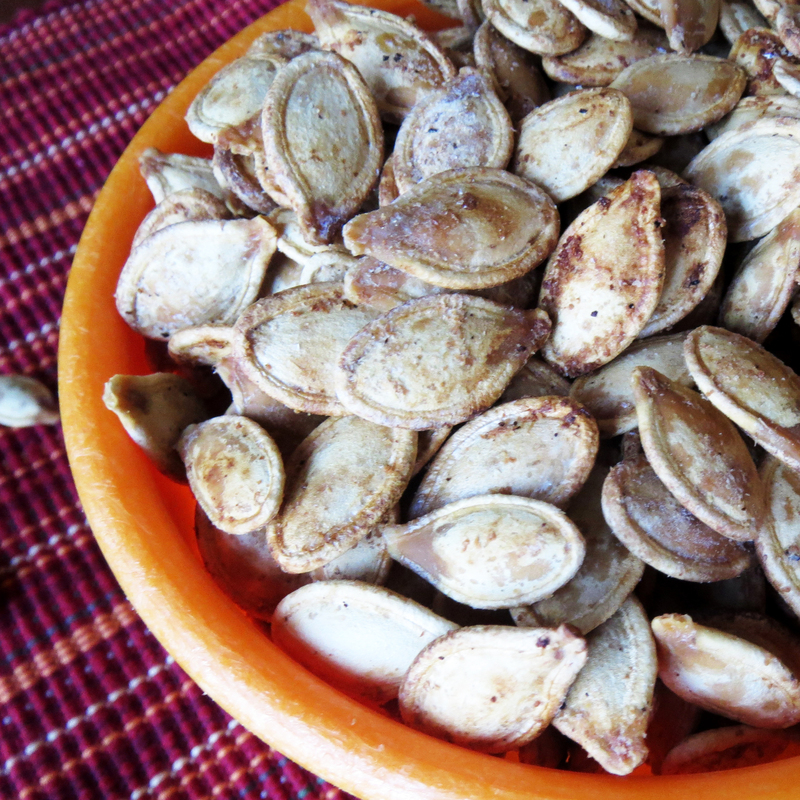 Pumpkin seeds are a healthy and delicious snack, filled with iron, protein, fiber, and healthy fats. I tried a new technique this time, from ohsheglows, and I think she nailed it. 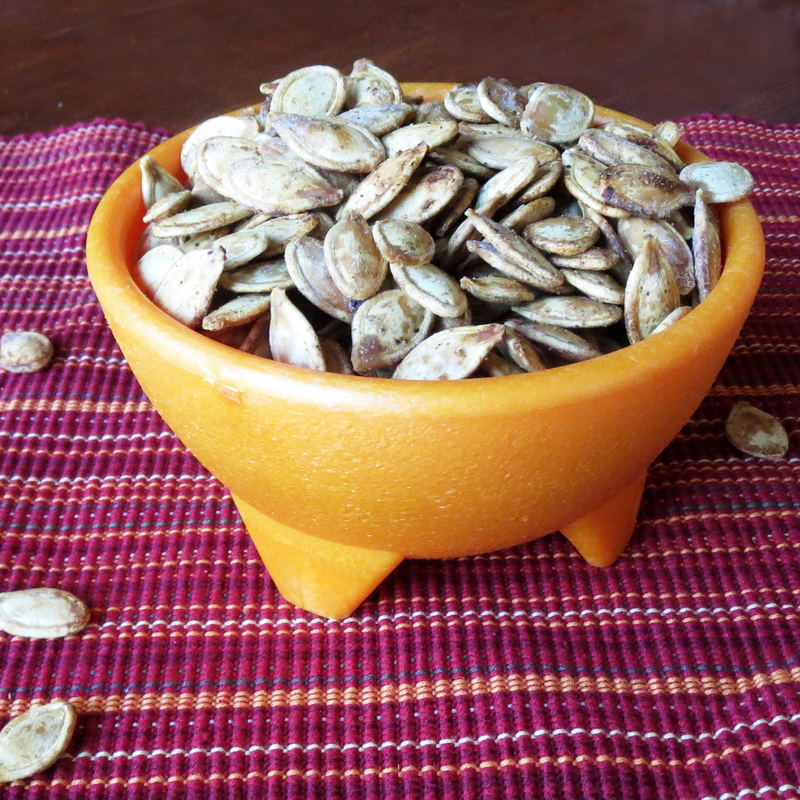 This technique yielded a perfectly crunchy, delicious, non-chewy pumpkin seed. And, it was surprisingly easy. 1. First, clean your seeds. 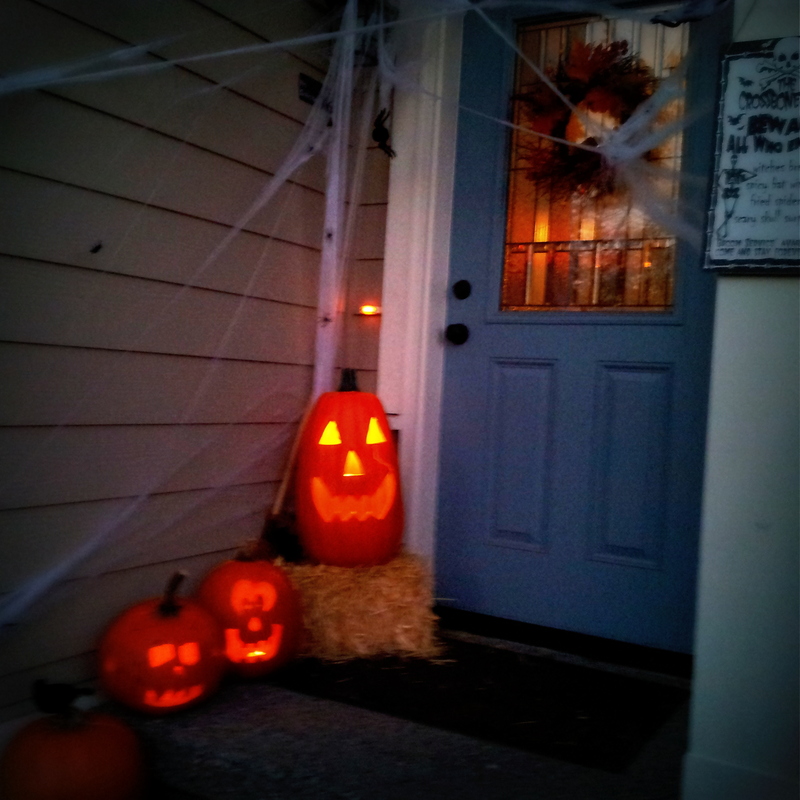 Make sure there are no pumpkin guts sticking to them. This is a tedious, but necessary task. Rinse them off in a colander. 3. Preheat your oven to 325°. Remove seeds from boiling water and drain. Pat them as dry as you can with a paper towel. 4. Place the seeds on a baking sheet. Put some olive oil (I used about a tablespoon) and a generous topping of sea salt, pepper, and garlic powder on them, and mix with your hands. Spread them out on the sheet. Do your best to spread them as thin as possible without too much overlapping. 5. Bake on 325° for about 10 minutes. Remove from oven, mix them up, and put them back in for another 10 minutes. Repeat until golden brown (in my oven, they baked for 3 rounds) They are ready when the shell is super crispy and easy to bite through.